Pin It How time flies... Seems like just yesterday that Erica was a little girl walking her brother into Kindergarten wearing her tutu... I was in 6th grade and thought she was just the cutest thing. Now she is a Senior at GCA and just a gorgeous girl with a fun zeal for life. 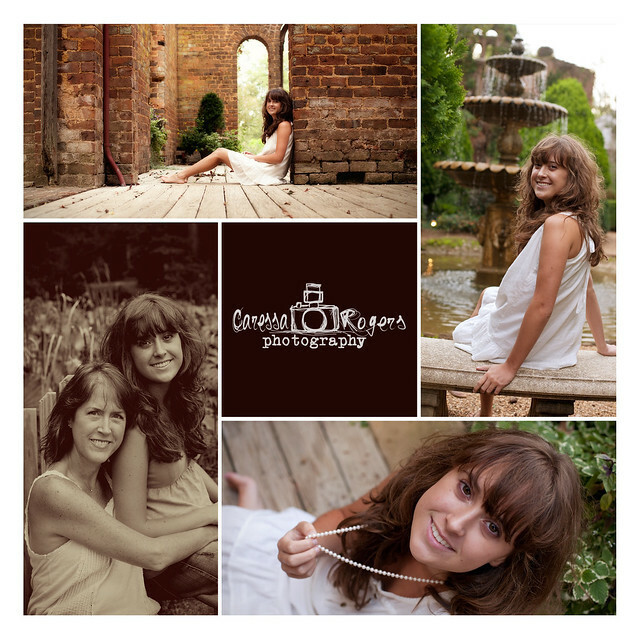 We started off the session with some really sweet mother/daughter pictures around the gardens and then ventured to the Barnsley Manor for some of just Erica. When Erica was a little girl there was a picture taken of her playing with her mom's pearls. So Mrs. King brought them along for some pictures of her "little" girl wearing them now. The pictures with the pearls turned out to be some of my favorites from the day! Congrats Erica! Enjoy your Senior year!